As some of you may know, I work for a great office furniture dealer and do-it-all business. I’ve been here over six years. Why? Is it because office furniture is the most exciting and life-enhancing thing ever? Uh…no. It’s because the people are awesome and I really like having a hand in helping things grow, whether it’s a plant or a business full of good folks. 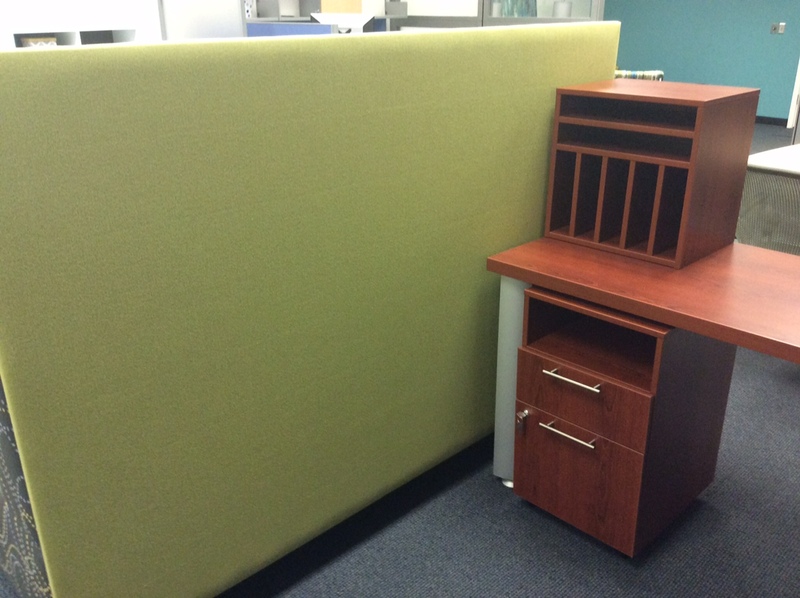 As an office furniture dealer, potential clients like to see examples of the things they can get. Everybody wants to test drive something before they buy it, right? Office furniture is no different. But, it does mean the furniture dealer needs to have a pretty darn cool and current showroom. And ours was well overdue for an upgrade. I mean, it was certainly nice, but in a 2002 boxy brown kinda way. Add to that the fact that our office is housed in the super historic 100+ year-old former mill and Palmetto School of Aeronautics located on Rosewood Drive, and showroom feng shui can be a challenge on a good day. I mean, it looks like an old and possibly abandoned warehouse on the outside, so we’d better have a darn good game going on when you open the door! 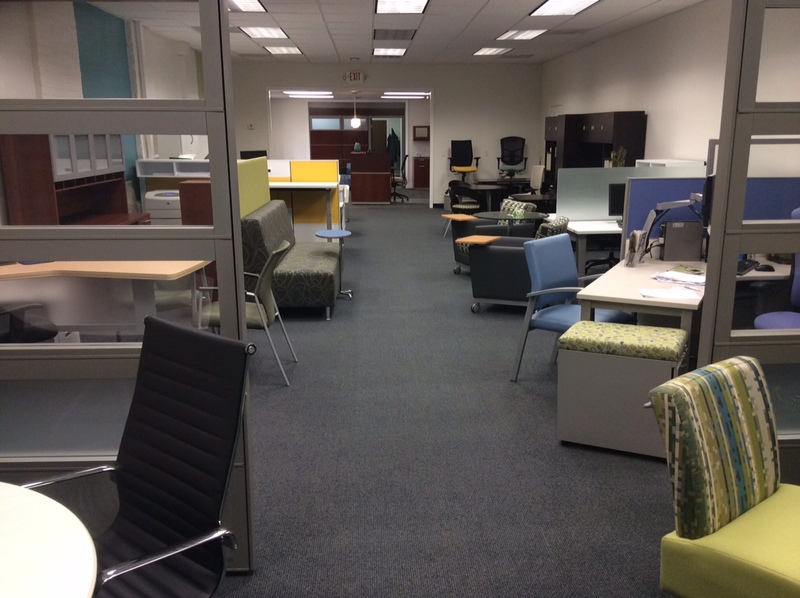 But our wonderful team did an update, and we now have a fresh, happy, and OPEN office plan. Open means there are a lot less walls and barriers between everybody, and it’s the way the majority of businesses are leaning now. It makes collaboration and team-building easier by utilizing the space. But it also means you become one big ol’ close-knit family. And you know what my friends ask me more than anything (knowing I’m in office furniture)? They ask: In the name of all that’s good and quiet, HOW CAN I GET SOME QUIET AND PRIVACY in these new-fangled open offices???? And because they don’t know how to make it happen, they hate their workspace. And that just ain’t nice, y’all. It ain’t nice at all! So, I’m gonna give you tips on how to not hurt your co-workers after your boss calls us to come put in a fresh and modern OPEN office. 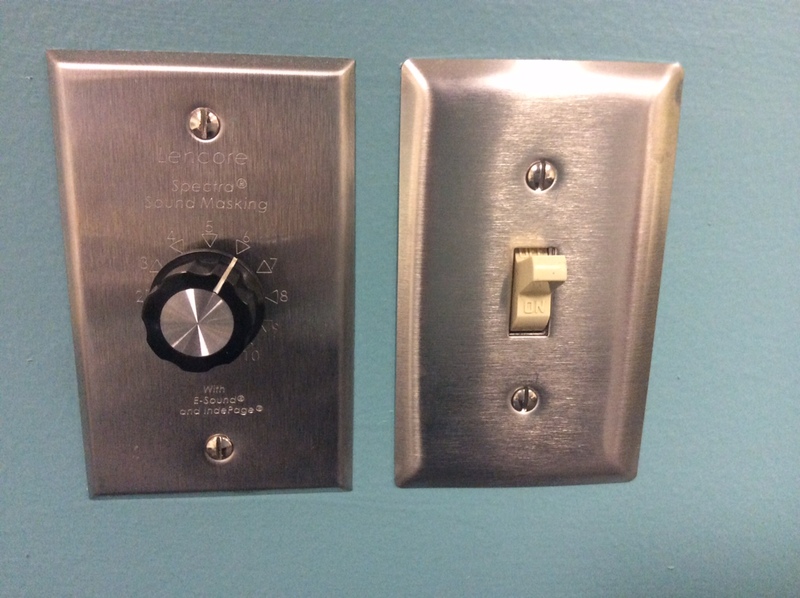 First, you can go for the gusto and see if the company decision-makers will agree to install a sound masking system. That’s basically a room-wide white noise system with a handy dandy loudness dial ranging from dull whisper to IS THAT A JET ENGINE IN THE CEILING!? We have one, and I sometimes crank that puppy up to Delta 787 when there’s a lot going on. It helps drown out the annoying (albeit fun) chit chat, the private phone conversations and client consultations, and the constant sniffles and snorts coming from across the room. But, we’re going to assume you have to stick with stuff you buy and use on your own, rather than requesting to be installed as an office purchase. Below is a list of three of the easiest, cheapest, and least obnoxious ways that I have found to get a little quiet and me-time in your “open as a desert” office. As always, make sure you aren’t violating any kind of company policy before you do anything. And if you’ve found some cool hacks of your own, by all means, share!!! A screen. No, not like the one grandma has on her front porch. More like the ones below or found on Pinterest. If you want a screen that blocks a little noise as well as blocking prying eyes, definitely buy or make one that has a solid core (i.e. plywood) and is covered in a heavier fabric. If you can get padding under that fabric, even better. (Both fabric and padding absorb sound before it hits your ears.) And no, it doesn’t have to be big. 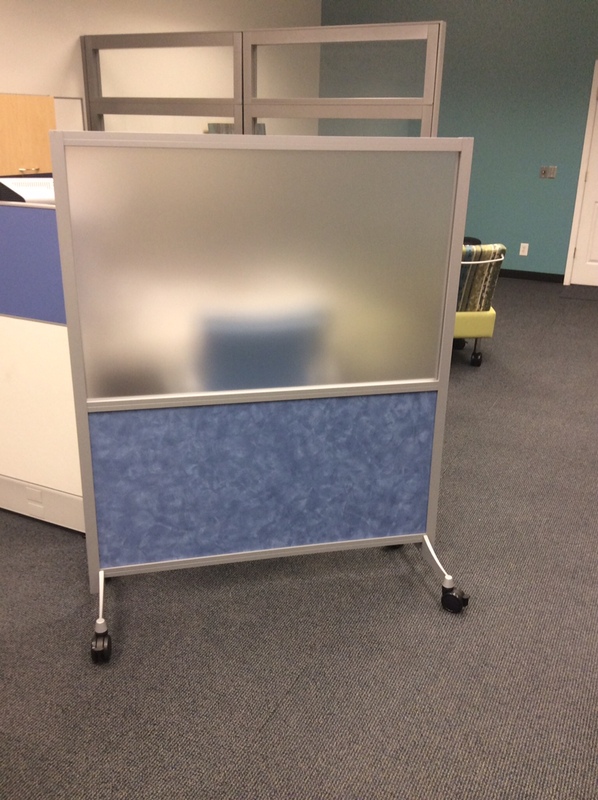 A desk-top screen works, or you could even use pieces of fabric-covered foam board assembled in an L-shape to stand up on top of your desk. 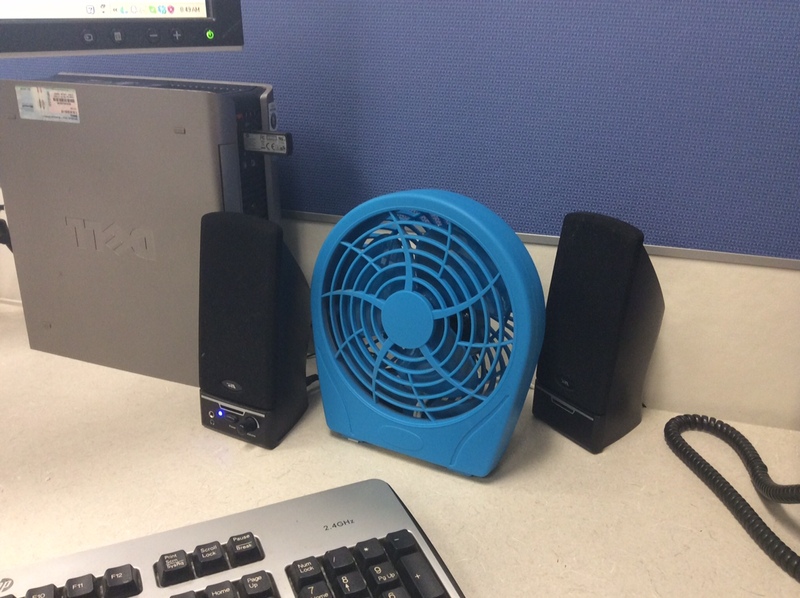 Now, if y’all excuse me for a bit, I need to pull my mobile screen to the front of my desk, turn on my fan, put in my earbuds, and pretend I’m on a warm and sunny beach when I’m actually being uber-productive at my desk! Seriously…I am. Totally! Oh, and while I’m working hard, y’all feel free to leave some tips of your own for getting peace and quiet in a room full of people! This entry was posted in Lydia Scott and tagged Columbia, every woman blog, Famously Hot, lexington medical center., Lydia Scott, Midlands, office decoration, open air office, South Carolina by lexingtonmedicalcenter. Bookmark the permalink.